Moralt lightwood boards – Latest solid wood materials for a perfect interface between thin and thick designer elements in furniture and interior. Lightness PLUS stability PLUS easy composition and processing are the ideal combination offered by this material. 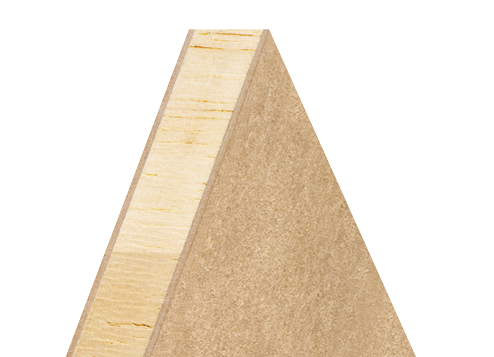 Moralt lightwood Balsa board - the sandwich construction with end-grained balsa core guarantees high compressive strength with minimum weight. You can choose from a variety of thin-MDF or veener facing for the most versatile surface designs. This provides strong benefits for further processing: A high level of creative flexibility due to a solid core, straightforward edge processing without framing or reinforcements, and an easy and conventional processing without any special tooling.